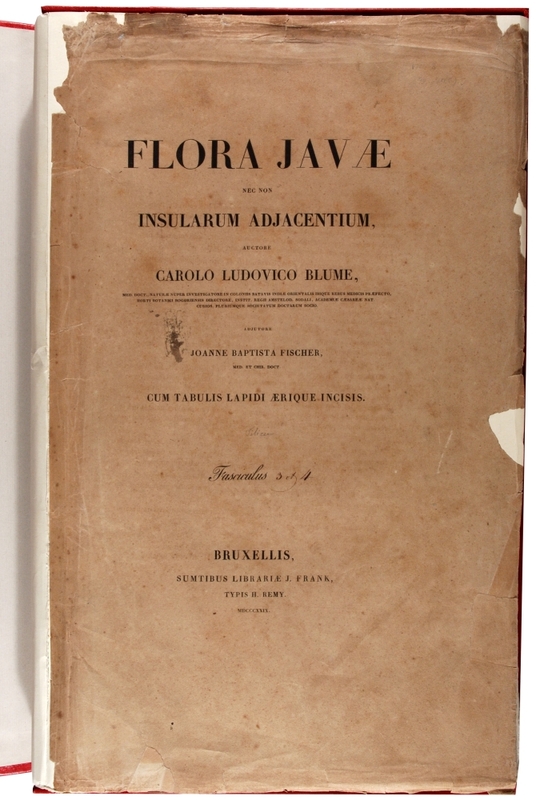 Flora Javae nec non insularum adjacentium ... adjutore J.B. Fischer. 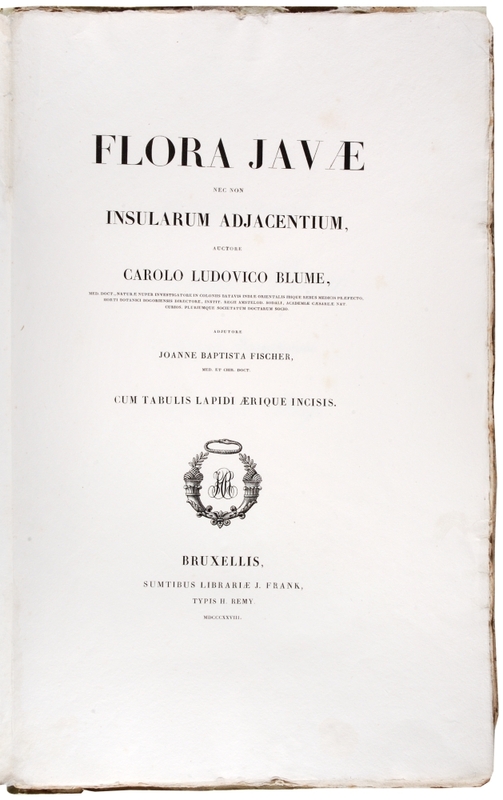 Bruxellis, J. Frank, 1828 (-1851). 10 parts, preserved in 4 folding boxes. 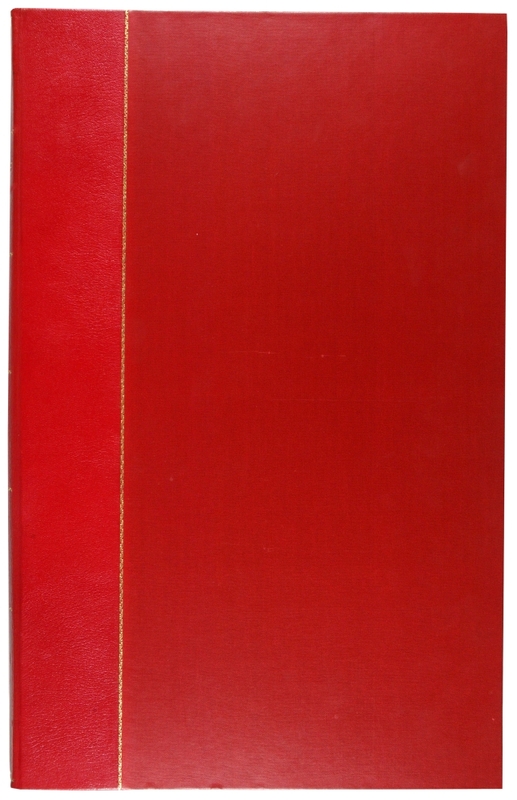 Folio (448 x 285mm). 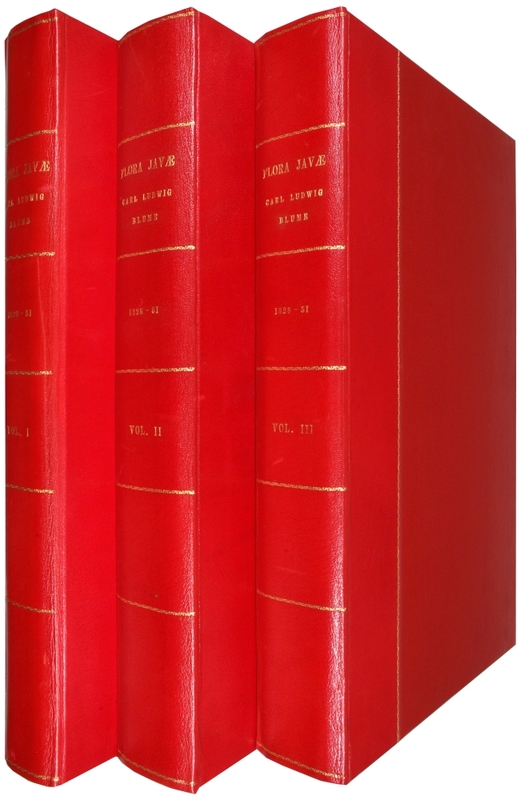 With 1 frontispiece and 238 lithographed plates of which 224 beautifully handcoloured. Original printed wrappers, some with repair, preserved in recent red half calf folding boxes, spines with gilt lines and lettering. 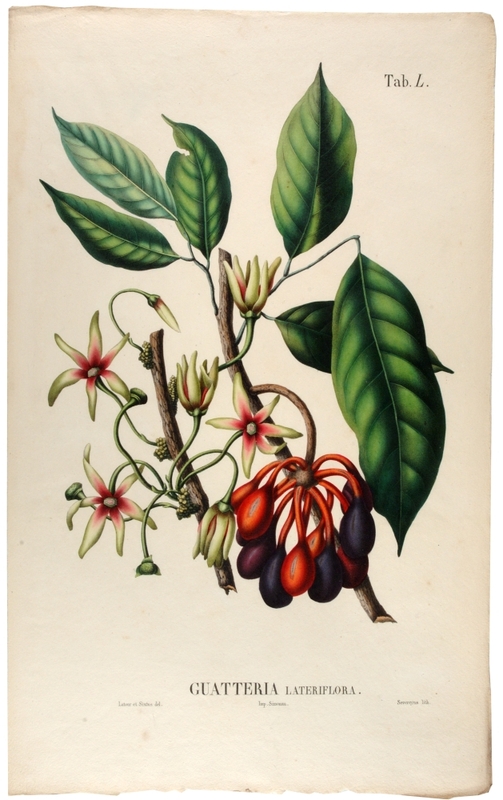 A magnificent work on the flora of the Dutch East Indies. 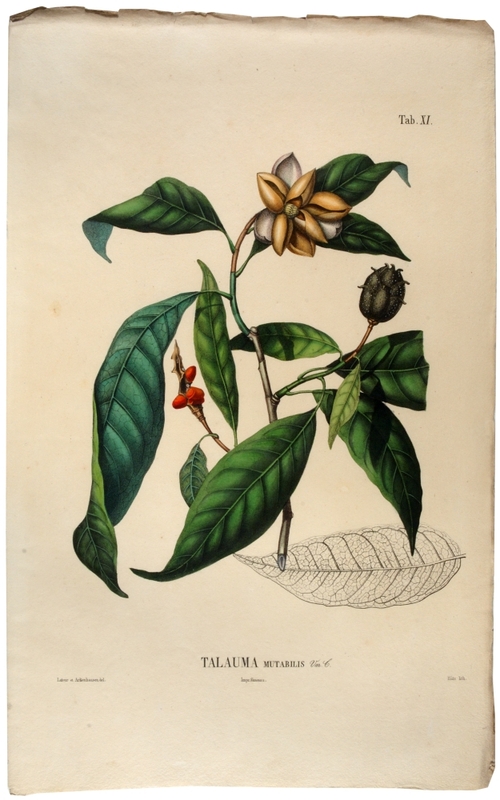 Karl Ludwig Blume (1796-1862) was a German born Dutch botanist who travelled and worked in Java, where he was the first director of the Buitenzorg Botanic Garden and later became director of the Leiden Rijksherbarium. 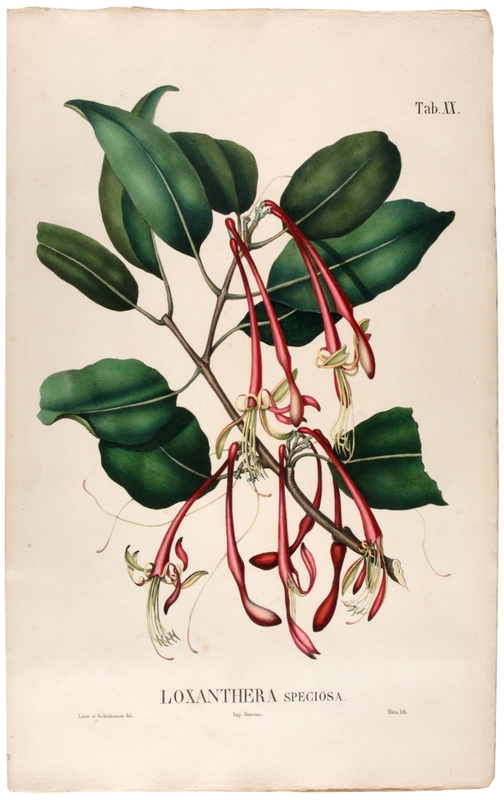 The present work is the only major flora of the Dutch East Indies of the 19th century, continuing Rumpf's pioneering work. The copy is without the 'Planches inédites' i.e. 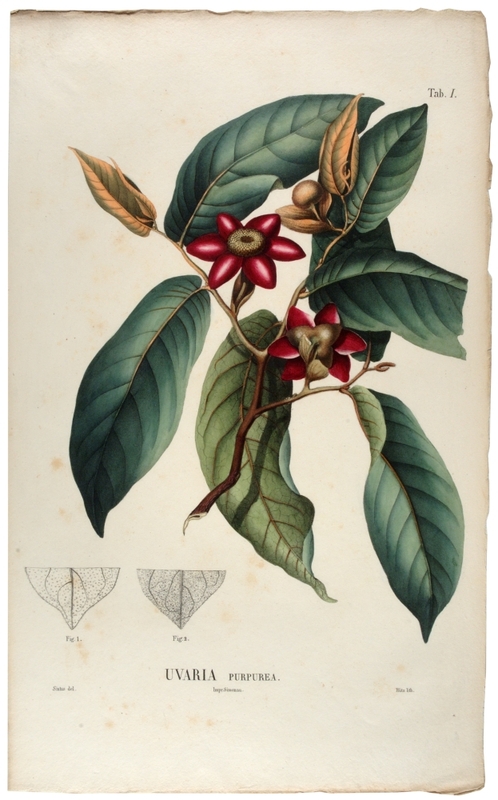 23 plates which were published posthumously between 1862 and 1897, and are mostly not present. There is some foxing and slight staining, however confined to the text. 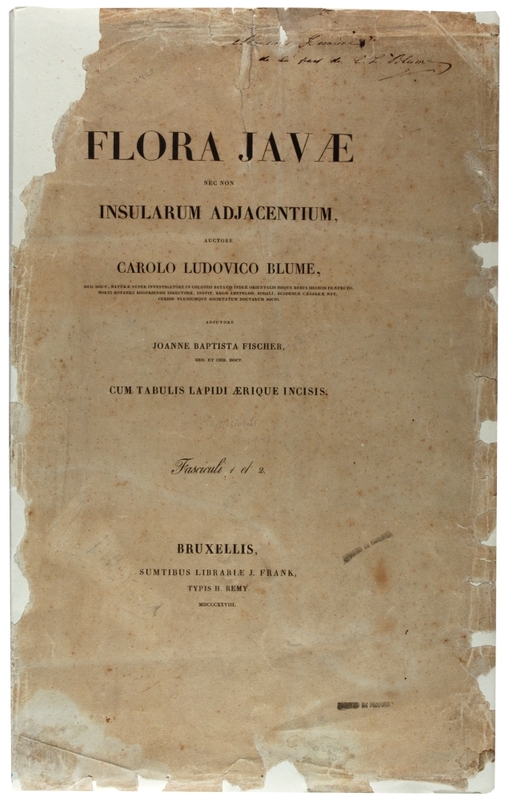 Provenace: On first printed wrapper 'Monsieur Decaisne de la part de C.L. Blume'. 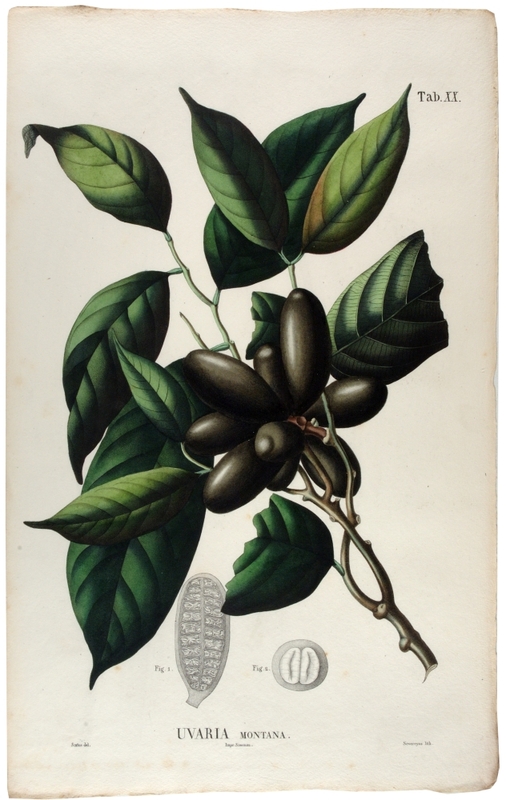 Joseph Decaisne (1807-1882) was a famous botanist attached to the Paris Muséum national d'Histoire naturelle. Stafleu & Cowan 563; Nissen BBI, 174.